"I’m so sorry for your loss. Mr. D great coach Caring . He will be missed." "Rest In Peace John. I’m so glad our children brought our families together. We"
"You will be missed... "
"John was such a special man, loved and admired by family and friends - we will a"
"I am heartbroken over your loss. John was a wonderful man. He will be missed tre"
"We extend our deepest condolences to all of the family. " "In joyful memory of a remarkable man!" "Judy, Jared, Dara, Marci, Giada, Jake, Gary and extended family, We are so sadde"
"Rest In Peace my dear friend. You will surely be missed. " "I pray that John's family; Judy, Jared, Dara, Marci and Gary and extended family"
"Hard to find the words, our Thoughts & Prayers are with You and your Family." "Mr. DeVincenzo was my KHS softball coach for 4 years. I have very fond memories"
"Sincerest condolences to you & your family at this time. Your loss is a terrible"
"You will be missed my friend." "Peace through your memories ... God hold you all in the palm of His hand through"
"So saddened to hear that my beloved former supervisor and friend has left us. He"
"Mr. D. Was one of a kind. He helped me during middle school years. 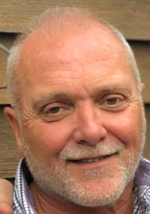 He was funny "
JOHN DEVINCENZO, 66, of Jackson Twp., NJ, passed away on Sunday, September 9, 2018 at home. He was born in Newark, NJ, and he resided in Kearny before settling in Jackson Twp., 31 years ago. John was a supervisor of the Guidance Department at Freehold Twp. High School in Freehold Twp., retiring in 2012. His love of sports was transferred to the students of Freehold Twp. High School where he coached Varsity Softball & JV Basketball for many years. He enjoyed traveling and spending time with his wife, kids and grandkids. John enjoyed going to the beach and teaching his kids and grandkids how to properly body surf. He also loved watching his beloved Yankees. John is survived by his high school sweetheart and wife of 43 years, Judith (nee Lerner) DeVincenzo, of Jackson Twp. ; his son Jared DeVincenzo and his wife Danielle of Atlantic Highlands; his daughters, Dara DeVincenzo of Jackson Twp., and Marci Gibellino and her husband Julian of Philadelphia, PA; his brother Gary DeVincenzo and his wife Linda of Freehold Twp. ; and his 2 grandchildren, Giada and Jake. He is predeceased by his parents, John and Rosemarie DeVincenzo. Relatives and friends are respectfully invited to attend his memorial visitation from 4-7 PM on Thursday, September 13, 2018, at the GEORGE S. HASSLER FUNERAL HOME, 980 Bennetts Mills Rd., Jackson Twp., NJ 08527. A funeral service will be offered at 6:30 PM at the funeral home. In lieu of flowers, memorial donations may be made in John’s memory to the American Heart Association, 1 Union Street, Suite 301, Robbinsville, NJ 08691, www.americanheart.org, and would be greatly appreciated. For directions, further information and to offer condolence messages to the family, please select a tab on the left.